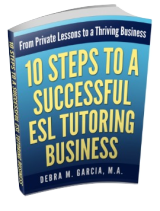 These 5 elements apply to ESL lessons plans for adults and for children. They can and should be used for any topic of ESL or EFL classes. A main topic for each lesson is essential. Whether the lesson lasts for one hour or three hours, there should be one main ESL topic. For example, the main topic could be prepositions of place, modal verbs, the Simple Past, pronunciation, etc. Virtually anything that English language learners need to learn to communicate effectively could be the main topic of the lesson. If you have a long period of time and you want to cover two or more main topics, then you will need two or more parts to your plan, or two or more separate plans. Each part or plan must have all five elements. Objectives help to limit the scope of the lesson and help to provide focus. The number of objectives will vary depending on the length of the lesson and the main topic, but will probably range between two and five objectives. Even the best plans cannot and should not cover every aspect of an ESL or EFL topic. (1) Objectives should all relate to the main topic of the lesson. (2) Each of the objectives should be measurable. (3) Each objective should be student-centered. Here are some examples of objectives for lesson plans covering the main topic of the Past Perfect verb tense. By the end of the lesson, students will be able to distinguish Past Perfect sentences from Simple Past sentences. By the end of the lesson, students will be able to demonstrate knowledge of the proper form of the Past Perfect by writing five sentences in the Past Perfect. By the end of the lesson, students will be able to demonstrate correct usage of the Past Perfect by speaking (or writing) three sentences correctly using this tense. You'll notice that these are all related to the topic of the Past Perfect tense. They are all measurable. The teacher should not have to guess whether the ESL (or EFL) students have met the learning objectives. Lastly, all the objectives are student-centered. Objectives in the best ESL lesson plans do not look like this: "Teacher will teach the Past Perfect." The focus of learning objectives needs to be on the student. The "study" part of the lesson plan can be the steps the teacher carries out to teach the lesson. It could be, for example, a short presentation by the ESL teacher or it could be study from a grammar book, etc. The best ESL lesson plans will have a limited amount of time devoted to this element. Sometimes ESL and EFL teachers tend to spend too much time on the "study" section. It really should be a relatively small part of the class. The best ESL lesson plans will have the most time devoted to this section. This is where students practice the main topic of the lesson and use what they have learned from the "study" part of the lesson. Activities could include cloze exercises (fill in the blanks), ESL games, writing, speaking, etc. The purpose of an evaluation is to check to see if the students have met the lesson plan objectives. The types of evaluations used in the best ESL lesson plans will depend on the format of the class, the length of the class, the topic of the class, and other factors. Evaluations can range from informal to formal. If you are tutoring students one-on-one, the evaluation could be as simple as listening to the student use the topic of the lesson during a conversation. If you are in a classroom, there could be a written quiz at the end of the class. Or it could be as informal as the evaluation used for one-on-one tutoring. The above steps can be used to write all of the best ESL lesson plans, including those for reading, writing, speaking, listening and grammar. Here's more information on teaching reading to ESL students. Check out this site for help with speaking lesson plans. This site is particularly helpful if you're teaching ESL to adults.